Gina Rodriguez is an American actress, model, and writer. Her parents, Magali and Genaro Rodriguez, are Puerto Rican. A picture of Gina with her parents can be seen here. Gina was raised Catholic. She is a practicing Christian. Gina has said that her father is of African-Latino descent. She has stated (at 46:10) that her maternal grandmother’s father was Jewish, a French Jew. I have Dutch in me and Taino. Possibly some Italian too. I’m all the things! Television and film are supposed to be a reflection of reality, right? We just want to see a slice of life. We want to be able to connect. We want to cry. We want to look at our lives on screen. It’s clear to me that execs need to step outside of their office and really look at life. We are in interracial relationships. We speak multiple languages. We’re multiple religions inside of that. I have Jewish ancestors. My sister converted to Judaism. I have Christians and Catholics and Buddhists in my family. I have multiracial, multiethnic relationships. We need to start casting color-blind because there is no specific anymore. She states here (at 46:10) that her maternal grandmother’s father was Jewish, a French Jew. That seems to reconcile her various quotes together. She really believes this. I think her mother likely has two European Jewish parents, but was born in Puerto Rico. If her mother and maternal grandmother are Jewish, her sister wouldn’t need to convert to Judaism. No rabbi would preside over her conversion. Or it could be her maternal grandfather was the “French Jew” and the paternal grandmother was the Jewish one who is “as fierce as the Puerto Rican grandmother.” I am only basing this on her paternal grandfather is “Rodriguez (not French) and if she is telling the truth (like @Follers said) her maternal grandmother wasn’t Jewish. Anyway @Follers can you please add Noah Centineo from The Fosters. I would but no clue if he is Italian, Latino, etc. and that his wife was Louise Falcone. His mother’s last name sounds kinda Portuguese or Spanish, but it could be neither. 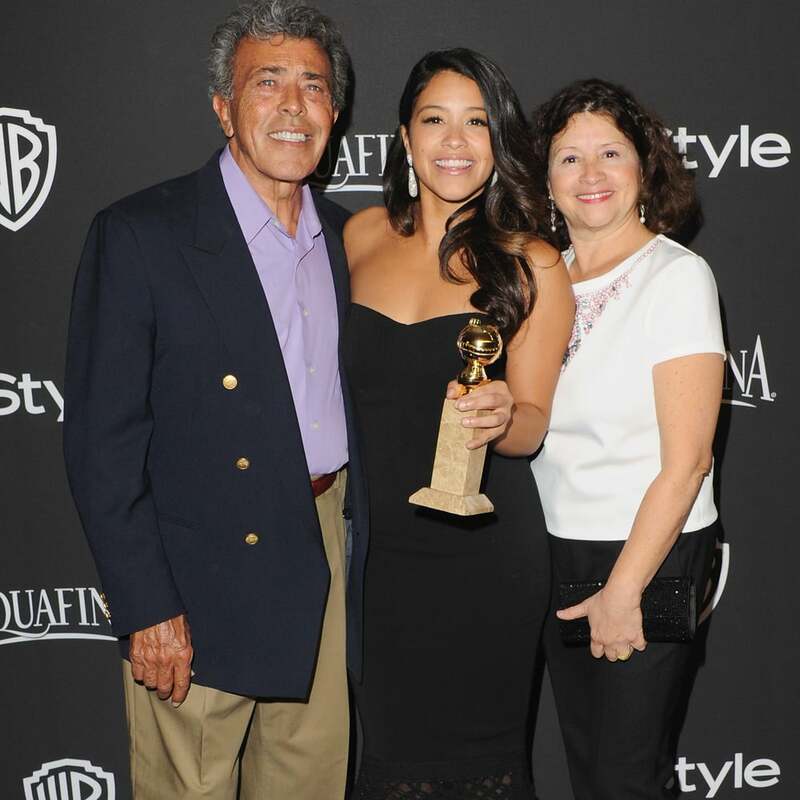 Thanks, any information on Gina Rodriguez’s grandparents would also be incredibly appreciated. Why do you think that one comment about her sister’s conversion weights more than all her other comments about her Jewish ancestry? There are countless possibilities. I think her mother’s parents are both Jewish because she has mentioned having both a Jewish grandfather and a Jewish grandmother. But maybe one of them is a convert, I don’t know. But bearboy said she has Jewish ancestry, so we have to go with that. He knew Abigail Breslin was part Jewish all along. Robert E. Lee wasn’t Jewish, so how could Rodriguez’ grandmother be descended from him and be fully ethnically Jewish at the same time? I find Gina’s statements to be more believable than other celebrities’. These aren’t just individual throwaway comments, they are consistant. And it is also not a distant ancestry she refers to. Assuming she knows her ancestry well (and doesn’t believe that she has ancestry that she doesn’t have, which is unlikely since she only mentiones recent ancestors), she either tells the truth, is a pathological liar, or is trying to fool us all. I did mention the possibility that Breslin had a paternal grandmother of a different ancestry group. I would have probably believed Rodriguez’ statement about a Jewish maternal grandfather, but that changed once she also said Jewish grandmother. I have to agree with madman on this particular debate. sorry follers I hope we can remain friends. Part Jewish or not, she had a Catholic upbringing. About Hispanics and Brazilians, to not appear ridiculous I recommend you to just write “Puerto Rican”, “Cuban” etc… I know they’re just nationalities, but you can’t know exactly their entire ethnic background from their physical appearence. It seems that you alwais fall in love with the “African” part and not with the obvious Native American/Indigenous one. I agree with Andrew. Pretty much every Latino has a mixture of Spanish/Portuguese/European, Native American, and varying degrees of Sub-Saharan African DNA. 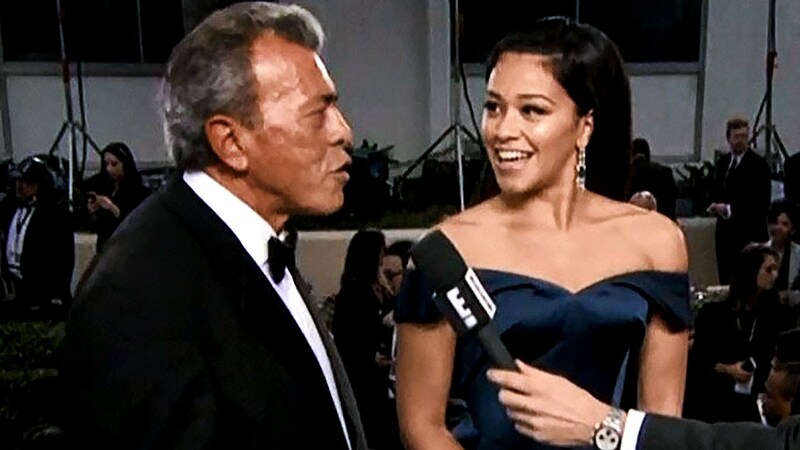 In fact I think Gina Rodriguez could be more Native American/Indigenous than African. But unless were are able to trace the ancestry or have a DNA test present leave it to the basic nationalities.